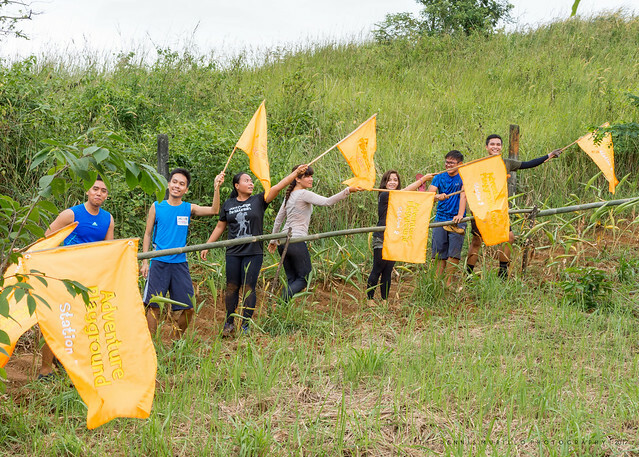 Located in San Mateo, Rizal, Timberland Heights Adventure Farm is a 6-hectare facility designed to create an exciting, fun-filled and educational experience for its visitors. It’s also an enjoyable place to learn about nature, agriculture and life in the farm. This huge facility has several parts that guests can experience and learn about growing plants and vegetables. 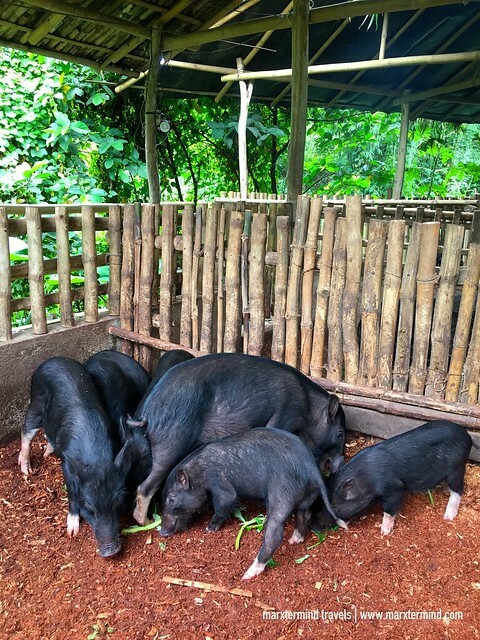 It also has areas to show how to raise and feed animals like native pigs, goat and chicken. A massive area with a lot of facilities to enjoy, kids, families and individuals will certainly like this place. Farming and adventure are just some of my interests. With these two in one place, you’ll see how excited I was to visit Timberland Heights Adventure Farm. 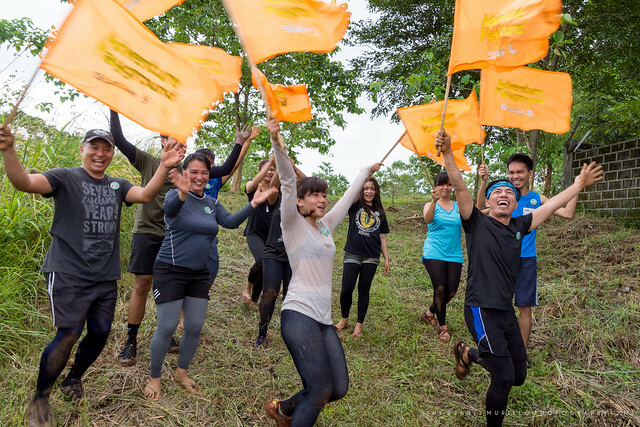 Together with other bloggers, the event promised us a weekend of fun and adventures. Indeed, we had. We were able to have a glimpse about how farming is. We were also able to experience Timberland Heights Adventure Farm’s additional attraction, which was the highlight of our weekend here. We started the day with a farm tour where we visited some of the facilities inside the adventure farm. These include Chicken Chums, Veggie Valley, Fish Frenzy, Butterfly Buddies, Tree Top and Hilltop Haven to name a few. Tree Troop – a place with full-blown trees, which occur naturally or existed for many years. 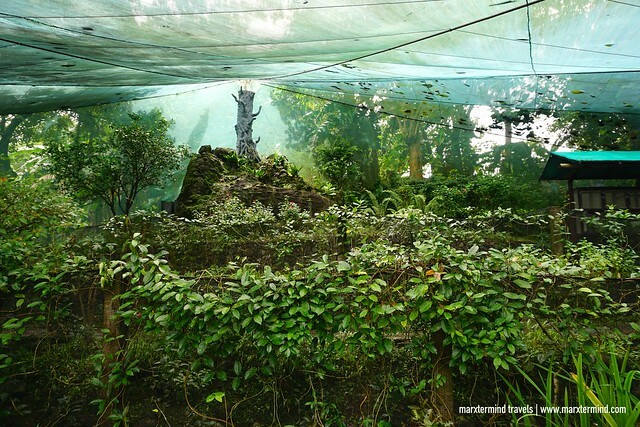 This area also shows how forest biodiversity helps the ecosystem function. 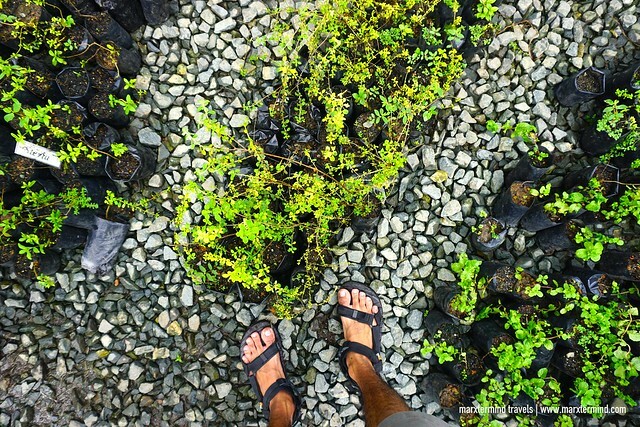 Rain Gardens – a demonstrative model illustrating the process by which rainwater to infiltrate the ground through layers of soil, sand and rock. Herb Terraces – different varieties of herbs like basil, rose mary etc. Veggie Valley – where they grow organic vegetables. In this place, guests can also do planting and harvesting. 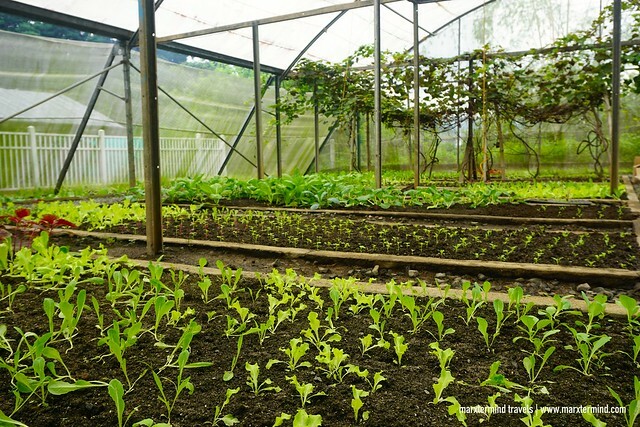 Green House – where they plant and harvest fresh greens and other vegetables like lettuce, tomatoes and eggplants. Worm World – learn here about vermiculture, an artificial cultivation of worms for the gardens. Goat Gallop – watch adorable, fuzzy and playful goats as they eat together at the shrubs and grass. 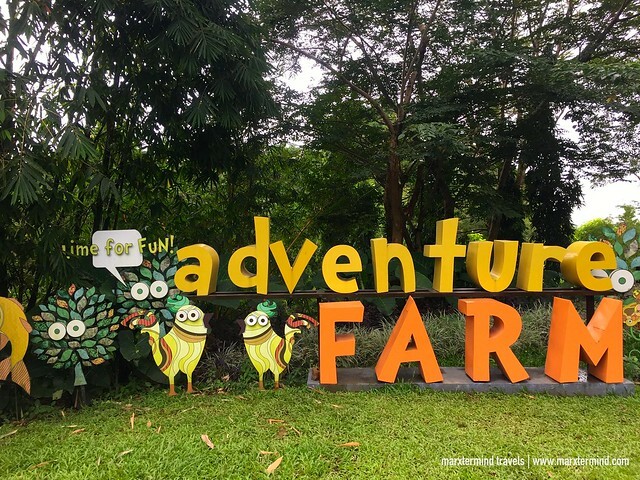 Adventure Playground is the recent addition of the facilities to enjoy at TImberland Heights Adventure Farm. 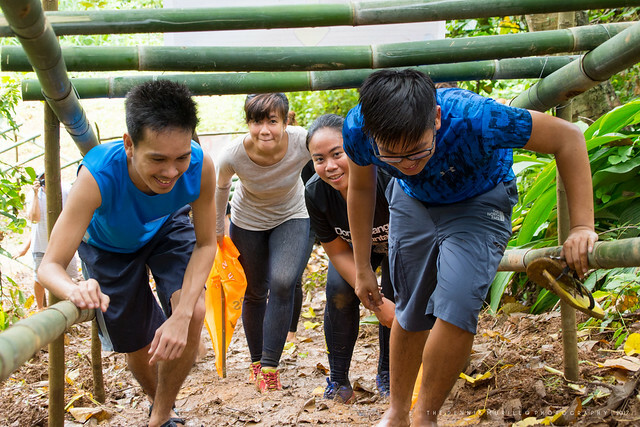 It was the main highlight of the event where we competed with Timberland Heights’ staff and members in a 1.3km trail race with 10 obstacle locations. A competitive person for challenges like this, I thought it would be an easy adventure for me. But it wasn’t. 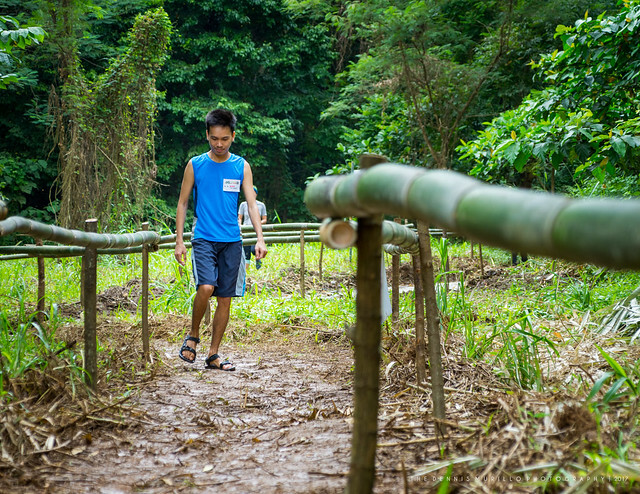 Adventure Playground has several obstacles including relay, wet station, mud station, wall climb, hill up, hill down, military crawl, and balance logs. It also rained that morning so add to that the wet and muddy trail. It was also hard to race with a lot more competitive staff and members of Timberland Heights. We underestimated them. When we realized we couldn’t catch up with the other team anymore, we just took this race easy, stopped for some photo opportunities and goofed around. The game was basically a race where a member or the leader has to collect all the flags in all the stations. But all members of the group need to finish every station before moving on to the next level. The game is a physical activity and a test of teamwork. This is great for kids and families who like obstacles and this kind of outdoor activity. 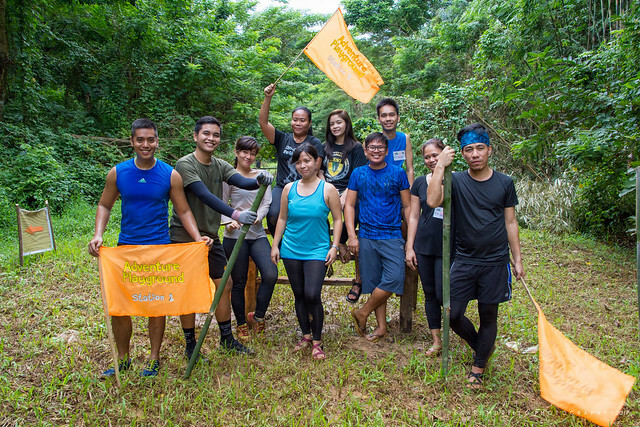 It’s also an ideal and safe location for team building, if you’re looking one near Metro Manila. 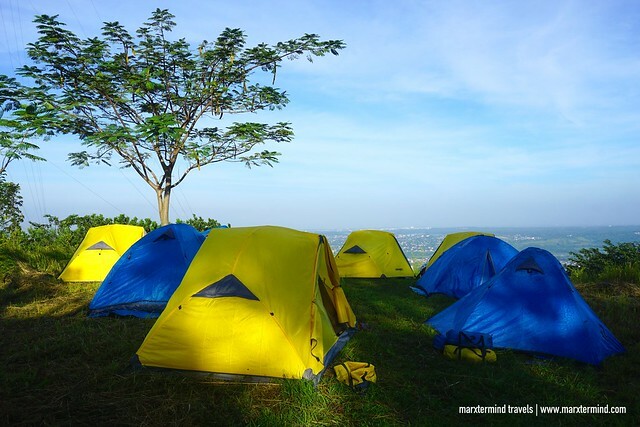 After the game, we went to the hilltop and there we set up our tents. It’s a nice site inside the adventure farm to camp out. It also has a fantastic overlooking. We spent the night under the stars with a magnificent view of the city.